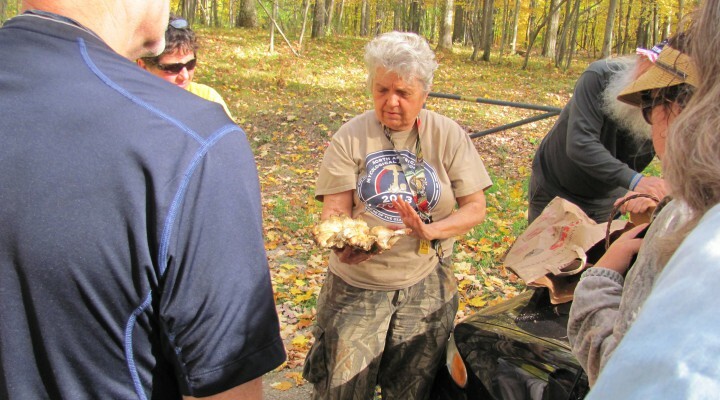 Expert mycologist, Sister Marie Kopin, helped a group of sixteen interested nature lovers identify a variety of fungi collected from our Bundy Hill Preserve on the evening of Friday, October 20th. The 60-degree weather and near-peak fall color display provided the perfect environment for attendees to wander the 100-acre public preserve and see what they could find. Over thirty different species were identified — not a bad number for the time of season and recent dry weather.